Kathy Perry’s Energy Vortex Guided Meditation is available for Free Download. Put your Name and Email address in the box below and you will receive instructions on how to download the MP3 file. Kathy Perry leads this powerful guided meditation of creating your own sacred space to overcome limiting beliefs and empowering you with unlimited possibilities. 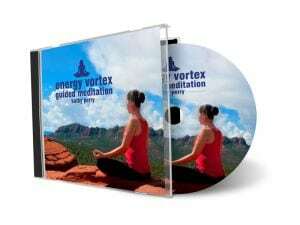 Recorded at a live event, this Energy Vortex Guided Meditation assists you in living a more energized, positive and vibrant life. Kathy is a co-author with Deepak Chopra and Jack Canfield in Stepping Stones to Success. This guided meditation was recorded live at the Creating My Intentions Conference in Tampa, Florida and Kathy was a Keynote Speaker at the event. The Energy Vortex Guided Meditation has been part of Kathy’s daily practice with some variations for a few years. It uplifts and assists in keeping her in a positive, healthy and vibrant state. Please enjoy this guided meditation from Kathy.